Look, in these volatile times our country needs emphasis placed upon virtues like compassion and understanding, not hatred and intolerance. The events in Las Vegas and Charlottesville tell us this. Your article and its reference to Scientology is, I’m afraid, about as clueless as a piece can get. Contrary to your claim, Leah Remini does not “expose” anything in Scientology, she fabricates her history to make it appear alarming and alarmist. She coaches participants on her shows to embellish and emotionalize their stories to make them appear “newsworthy.” Anybody who knows Scientology knows these reports are utterly bogus. Unfortunately you just accepted her story, obviously without effort to challenge her claims. Some might call this blind acceptance and others laziness. The fact is that her membership with the Church of Scientology ended when she was expelled in 2013. Members had tried to help her in numerous ways for a long time. She appeared to accept their help, but managed to twist and corrupt it, leaving upset people in her wake. She violated the trusts vested in her and is simply a miscreant incapable of treating others with decency. Scientologists were relieved when she was gone. 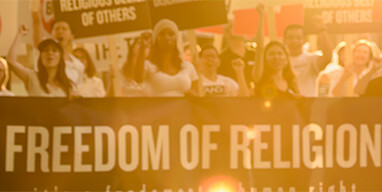 For an appreciation of our religious nature please go to www.scientologyreligion.org where you will find the legal and scholarly research regarding the Scientology religion.